Sugar Bowl & Royal Gorge will be part of the Squawpine Pass! Home > Sugar Bowl & Royal Gorge will be part of the Squawpine Pass! 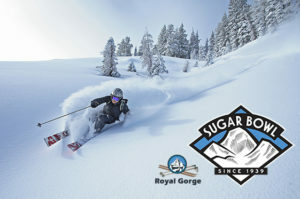 We’re excited about Squaw’s announcement on Friday that Sugar Bowl and Royal Gorge can be included on next year’s pass!! Woohoo! The fun just keeps on growing for skiers in Tahoe!